1100 E. Hyde Park Blvd. We are a thriving Reform congregation located in the historic Hyde Park-Kenwood neighborhood. Our diverse membership comes from all across the Chicago metro area. We welcome interfaith families, GLBTQ members, and all those who seek an invigorating Jewish experience. As the oldest Jewish congregation in the Midwest, we have been known throughout our history for our commitment to authentic and innovative Jewish music, quality education for adults and children, and social justice both at home and around the world. 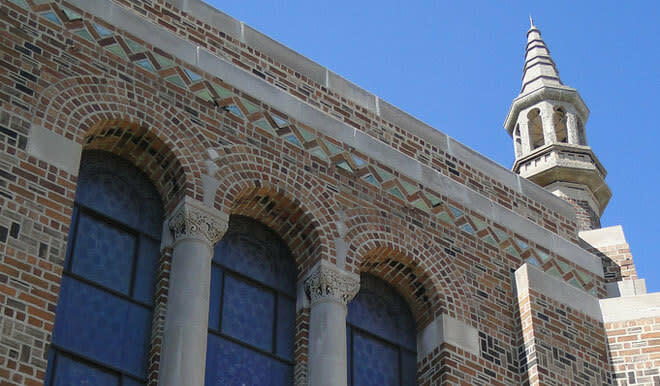 Today, we are also known as the beautiful Byzantine-inspired synagogue at Greenwood Ave. and Hyde Park Blvd. across the St. from President Obama's Chicago home.